Shopping for new under-counter fridges in Shoreham, or frost-free chest freezers in Stenning is easy; simply call in at Carters Domestic Appliances in Southwick Square and browse our large range of models on display from leading manufactures such as AEG, Hoover, Lec and Bosch. Carters are Euronics retailers and a traditional, Sussex family-owned company with a price-match policy to give you the most competitive deal, on-line, or on the high streets of East and West Sussex. Please don’t hesitate to let us know if you find a better deal on the appliance you are looking for elsewhere. We aim to match the price of white goods like-for-like where possible. How do I choose the best fridge-freezer for me? Carters stock over twenty leading brands in refrigeration appliances, so there are lots of models to choose from. You'll be sure to find the functionality you need and within a budget you can afford. If you’re short on kitchen space, or you’d like a family-sized, energy conscious fridge freezer, then call in to discuss your requirements with one our sales staff to find an appliance to suit your requirements. In addition to Fridge Freezers, we stock large numbers of refrigerators with ice boxes and larder fridges for you to choose from, either online, or from our Southwick store. Our Blomberg fridge-freezer maintains optimum humidity and freshness through its 'dual cooling' function, making it suitable for garages or unheated out-houses in outside temperatures down to -15°C. French-style frost-free fridge-freezers characteristically have a single, lower freezer compartment with double fridge doors. Our AEG model provides ample space, is quiet (43db) and will store its contents for up to twelve hours should there be a power failure. Many of our refrigeration models are over 160cm high, with Miele offering a super quiet 177cm tall fridge-freezer. So, whatever your refrigeration needs, there’s sure to be something that fits in with your life-style and the design of your kitchen. We always stock a selection of chest freezers at our warehouse ready for sale at Southwick. Also check out our large selection of Electric Fires from well known manufacturers such as Dimplex. Serving the Southwick area, including Shoreham and Steyning, Carters in Sussex offers a huge range of washing machines, washer-dryers. Kitchen and tumble-dryers from all your favourite household names in white goods. Buy from a choice of freestanding, integrated, and top-loading appliances with up to 12kg load capacity, and condenser dryers capable of managing over 9kg in our Xtra Large Plus selection. Slim-line and stackable models are also supplied, and Indesit's compact spin dryer is ideal for occasional use and small loads up to 4kg. Energy efficient, condenser-type dryers from Hotpoint, with Crease Care and anti-allergy refresh programmes, offer seven drying levels and a control lock to protect an inquisitive child. Washer-dryers are space-saving and we have over sixty models to choose from between AEG and Zanussi with every leading brand inbetween. 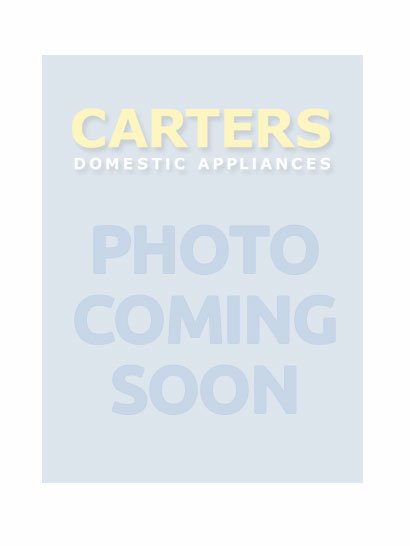 Carters in Southwick offers style and functionality in an extensive range of cooker hoods and hobs for domestic kitchens, from Portslade to Aldington, and Shoreham to Fishersgate. Chimney-style hoods feature variable speeds and aluminium grease filters, and canopy cooker hoods are great in kitchens with low ceilings since they can be concealed. The Con@ctivity stainless steel hood from Miele has three power levels, touch control, and adjusts its power in order to manage the hob settings, all enhanced with LED lighting. Or for a streamlined look you might consider a high performance 60cm telescopic extraction hood. There are many styles and makes from Hotpoint, Smeg and Neff, for example. As well as a comprehensive range of smaller electrical home and personal care essentials, such as electric toothbrushes; toasters, razors, and hairdryers, our Southwick store is an excellent destination to find accessories such as vacuum bags and belts, light bulbs and batteries.